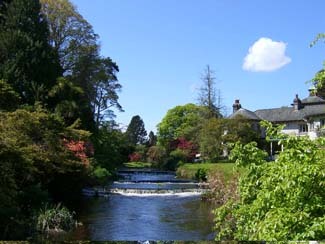 Magnificent gardens in the Robinsonian manner with a river as the central feature. 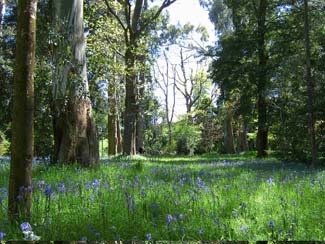 Mount Usher is particularly blessed in a number of ways. 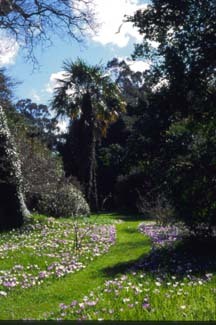 Originally created by the Walpole family, the garden owes its character to one of those happy confluences of history: The garden took shape over a period when the enthusiasm for new plant introductions was at its peak, and the possession of exotic species brought back from plant hunting expeditions to the east and the southern hemisphere was a serendipitous form of showing off. At the same time ideas were influenced by William Robinson whose book ‘The Wild Garden’ rejected Victorian formality in favour of naturalistic planting of species assembled from all over the world. Then there is the bonus of being on the banks of the River Vartry, which runs swift, sparkling and shallow over a series of weirs. 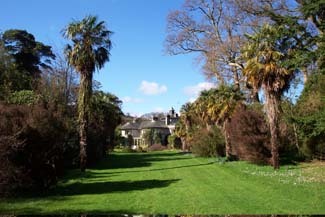 The combination of these elements makes for a veritable garden of Eden where, throughout 20 acres, visitors are treated to a series of glorious prospects and to a magnificent collection of trees, plants and shrubs in sylvan settings. 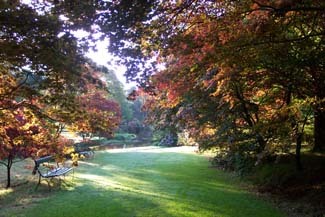 It’s a place to revisit in celebration of the changing seasons, with carpets of naturalised bulbs, snowdrops, crocus daffodils, trilliums and 150 different species of rhododendrons and azaleas in spring, lilies - like the giant crinum and martagon - and Eucryphias ‘the White Knights of August in summer, and the spectacular autumn colour of vivid scarlet Acers, bronze Liquid Ambers and saffron Liriodendron tulipfera. 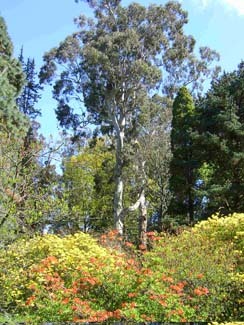 Among Mount Usher’s collection of over 5,000 trees and shrubs, there are three important collections: Nothofagus (the southern hemisphere beech), Eucalyptus, and Eucryphia - and also many rare and unusual plants like the Montezuma pine, Gevuina avellanaand Lapageria rosea. Winding paths lead visitors on a voyage round the plant world, through varied groves and glades and back and forth to the river banks. A Maple walk, an azalea ride, an aromatic grove of Eucalyptus with a meadow of naturalised fritillarias nearby, and a secret fern walk are just some of the features. There are more intimate areas too - a herbaceous garden enclosed by tall beech hedges, a narrow river walk and a delightful stream garden where astilbes, hostas and candelabra primulas prosper. And, in a special touch, tribute is paid to the men who devoted a working lifetime to gardening at Mount Usher: George Burns, Charles Fox, Michael Giffeny and Miles Manning. 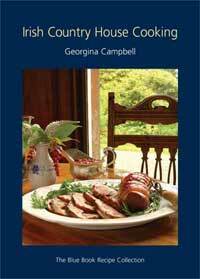 Avoca Garden Café 10.00am-4.00pm open Fri and Sat for dinner, reservations 0404 40116.